Vincent Leonard Price, Jr. (May 27, 1911 - October 25, 1993) was an American film actor, remembered for his distinctive voice and serio-comic attitude in a series of distinctive horror films. His tall 6' 4" (1.93 m) stature and polished, urbane manner made him something of an American counterpart to the older Boris Karloff. Price also recorded dramatic readings of Poe's short stories and poems, which were collected together with readings by Basil Rathbone. Price was a noted gourmet cook and art collector. 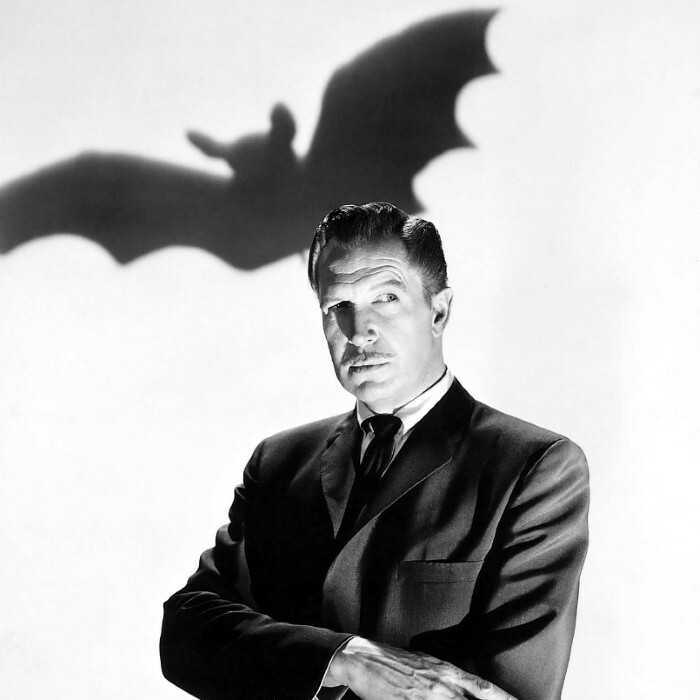 From 1962 to 1971, Sears, Roebuck offered the Vincent Price Collection of Fine Art, selling about 50,000 pieces of fine art to the general public. Price selected and commissioned works for the collection, including works by Rembrandt, Pablo Picasso, and Salvador Dalí. He also authored several cookbooks and hosted a cookery TV show, Cooking Pricewise.